Airplane passengers in Grand Rapids can get rid of some spare change and fight homelessness at the same time. 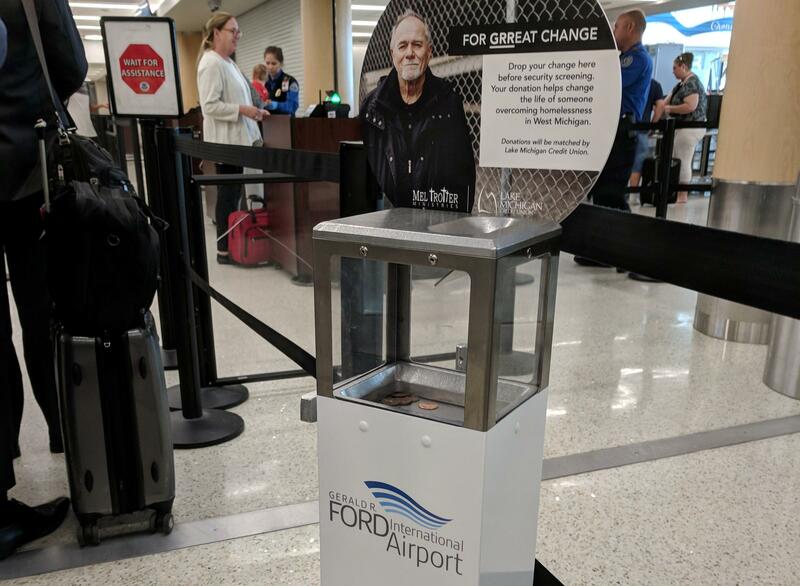 The Gerald R. Ford International Airport has added boxes where passengers can drop coins before going through the security checkpoint. Tara Hernandez, the Marketing and Communications Director for the airport, says that money will be donated to Mel Trotter Ministries, which helps people experiencing homelessness find their footing in West Michigan. “It’s kind of a win-win for all of us. It helps us expedite the screening process, it’s one less thing to have to go through the checkpoint. And then it benefits a great cause, so all around good for our community,” Hernandez said. Lake Michigan Credit Union has pledged to match whatever money is donated from the boxes. The Transportation Security Administration reported that in fiscal year 2016, passengers left nearly $868,000 at security checkpoints nationwide. Hernandez says she came up with the idea after reading about an airport in Denver doing something similar. She doesn’t know of any other airports in Michigan with a coin box program like this. “I think if other airports maybe got on board with something like that, it would be cool to see us sort of spread that love,” she said. Hernandez says the airport sees about 7,000 passengers every day. 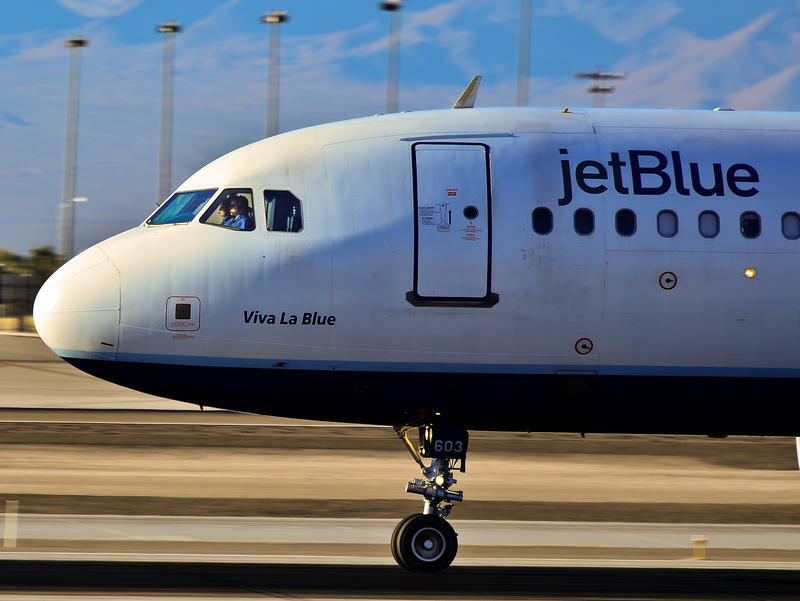 Authorities say a JetBlue flight from New York to San Francisco landed in Michigan after a lithium battery in a passenger's laptop apparently started a fire. It's a bad day to be flying from any of Michigan’s major airports through Chicago. 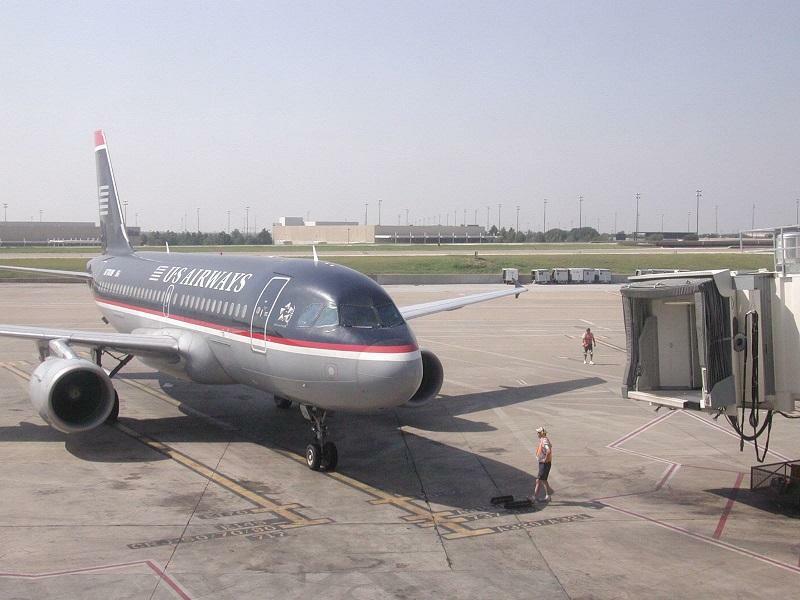 An incident at an air traffic control tower in Illinois is causing hundreds of flight cancelations. Police say the fire at the suburban Chicago air traffic control facility was intentionally set by a contract employee. The problem of homelessness among military veterans in Kent County has been solved, according to several organizations that have been working to find housing for them. 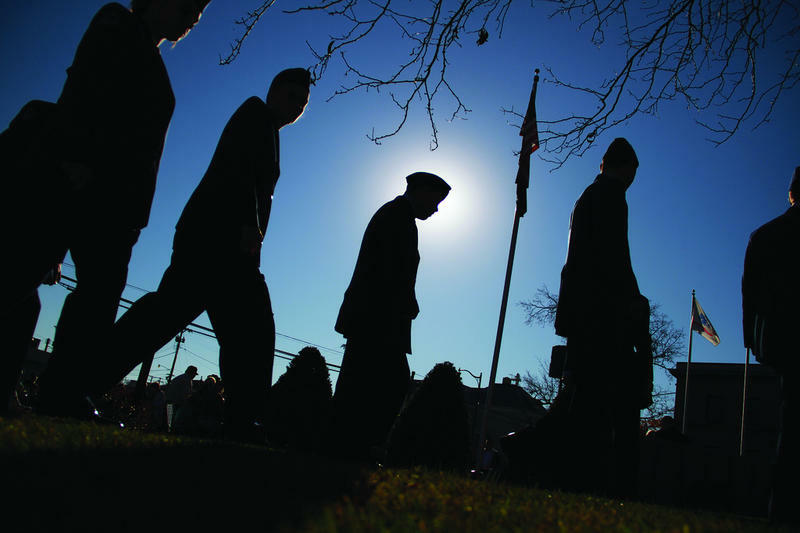 The county had more than 400 homeless veterans when the collaborative effort began in 2015.